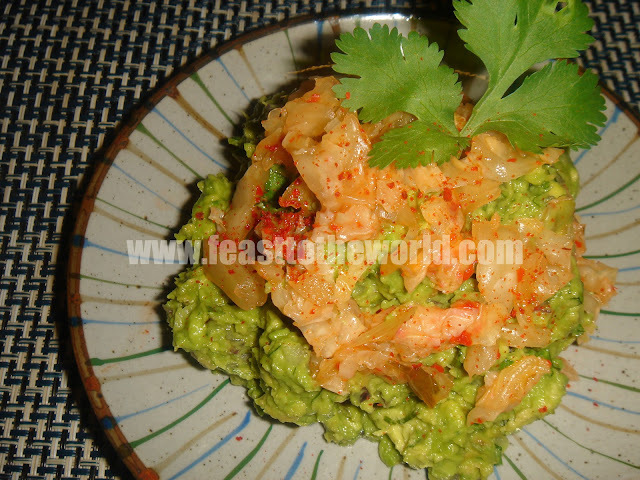 Guacamole, a dip made from avocado and originated from Mexico and Kimchi, a fermented cabbage pickles which came from Korea. In all fairness, these are two of the most unlikeliest words be used in the same sentence, let alone the same bowl. This recipe was inspired by a Danny from Kimchi Cult, who does a fantastic Korean-Mexican fusion torts on Eat ST. I was rather apprehensive when he suggested this unusual combination. 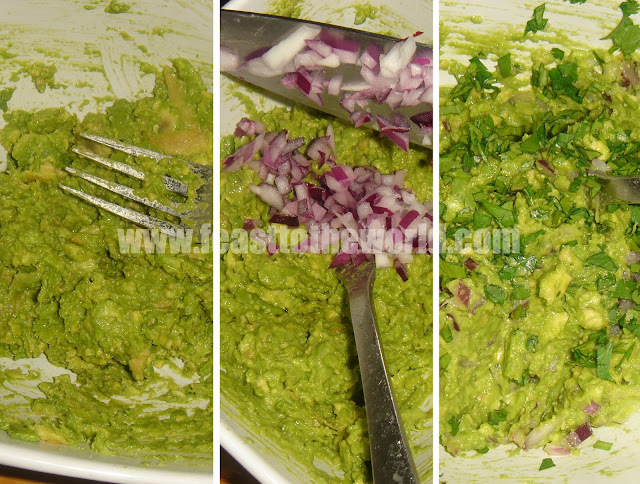 But a few days ago, I was craving for some guacamole and tortilla chips and this recipe sprung to mind. And since I had a big batch of homemade Kimchi ready at hand, I thought I will give it a bash out of curiosity. The ending result surprised me beyond my expectation. 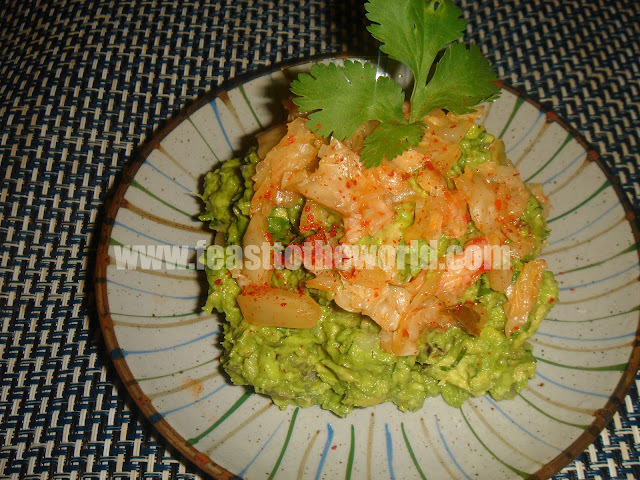 The spicy Kimchi with its sweet and tanginess, worked beautifully against the creamy and rich guacamole. This was truly an eye opener and I think one that I will forever keep in my dips repertoire in time to come. For a good guacamole, make sure that the avocados are ripen before used. If not, place the avocados in a fruit bowl along with some bananas for a day or two prior using. This will help to speed up the process or alternatively, submerge them in amongst some raw rice, this was a trick taught to me by my nan and has not failed me yet. 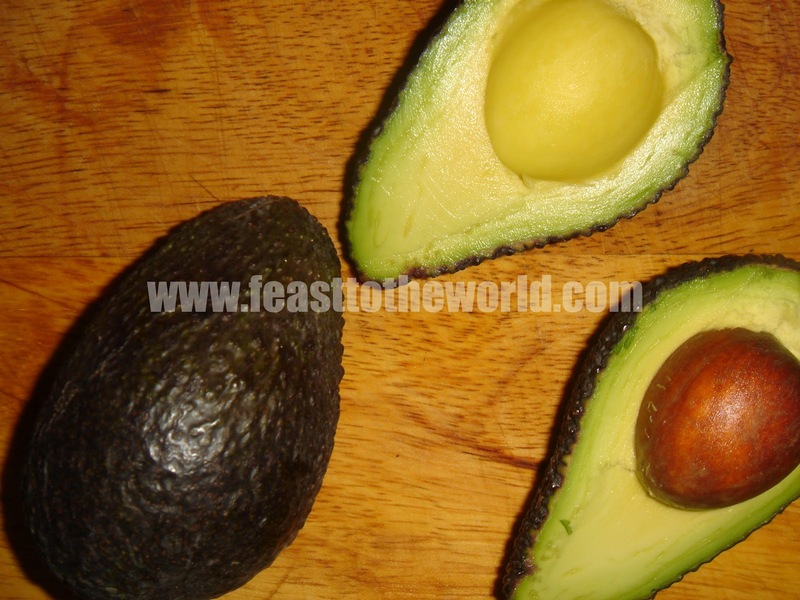 Cut the avocado in half, remove the seed and reserve. Using a spoon, scoop up the flesh and add to a bowl. Lightly mash the avocado with a fork, leave them slightly chunky for added texture. Add the chopped onion, coriander Kimchi and a pinch of salt. Combine to mix well. Transfer to a dipping dish and sprinkle with some chilli flake, if using. Serve with a bowlful of fresh tortilla chips to dip. This looks great! Kimchi seems to go with everything, no? Apparently so! But I do love Kimchi...I eat them by the bucket loads.